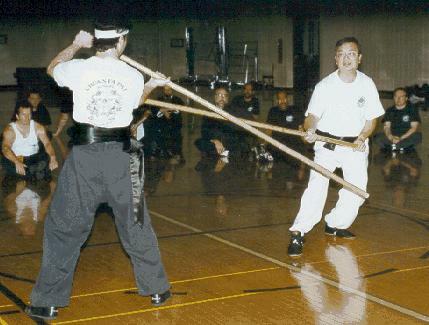 Master Alfredo Sui, Sui Man Kuen returned after 27 years for a visit to the Charlotte area in October 1997. He was a student at UNCC from 1965 till 1970. 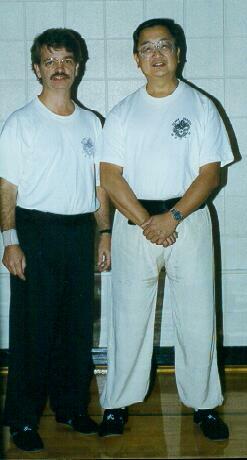 While in North Carolina, he taught a style of Chinese Martial Arts (Kung Fu) called Li-Ka (Lee Family). 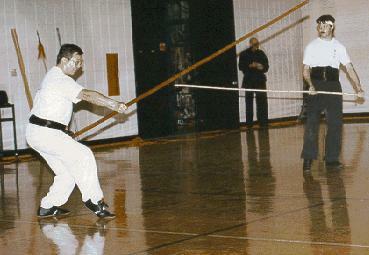 He studied this style from Grandmaster Li Kum San in Lima Peru, South America. He is currently living in Vancouver, Canada. Recently he has been studying T'ai Chi there. At the seminar on he discussed the value of learning the techniques (decomposition) of the forms. He also made a particular point of having & showing "spirit" while doing forms. Master Sui stated he was very pleased to see that what he had started at UNCC so many years ago had blossomed out as far as it had. There were schools represented from the Charlotte area, South Carolina & Virginia.